This was the game that nobody really wanted to play. Brentford’s visit to Hull City had been put off for a seemingly interminable period of time owing to the apparent difficulties in scheduling the home team’s FA Cup replay with Arsenal what seems a lifetime ago. 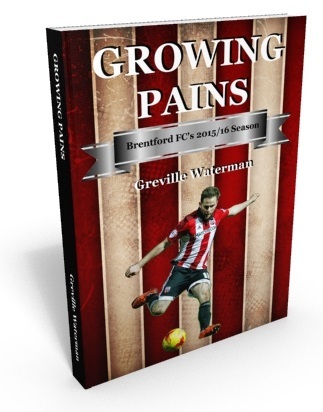 Having played only three times in March this was to be Brentford’s seventh game of a ridiculously packed April schedule, a situation that should never have been allowed to occur and one that was to prove a match too far for a thin, exhausted and beleaguered squad. Hull City had already safely secured their position in the playoffs and all they had to play for last night was to help ensure that they finish up in fourth place and therefore get to play their forthcoming playoff semifinal second-leg tie at home. As for the Bees, it was simply a case of trying to continue their recent unbeaten run and ideally get through the match unscathed before Saturday’s massive and much anticipated local derby against Fulham. Hull City are the moneybags of the Championship, a situation that I have previously written about with great envy when I outlined the eye-watering sums they received throughout their stay in the Premier League, figures that are now being boosted even more by an ongoing series of Parachute Payments following their recent relegation to the Championship. Given their riches, resources and overall opulence which totally dwarf the likes of Brentford and are beyond our wildest dream, it would not be unreasonable to say that Hull have an unfair advantage over the rest of the division and in essence have totally underperformed this season as they really should have run away with the league title. As it is, owing to their inconsistency and lack of goal threat their hopes of automatic promotion have long since disappeared and they will be forced to rely upon the lottery of the playoffs if they are to fulfill expectations by returning to the Premier League. Steve Bruce was afforded the luxury, unheard of for Dean Smith, of making seven team changes last night whilst still being able to put out a starting eleven bristling with ability and experience, and as for his substitutes’ bench – words fail me and I am green with envy! Seven players, four of them full internationals, worth millions of pounds and probably earning between them a sum close to Brentford’s entire playing budget. That’s just the way it is in a league composed of the haves and have-nots and where there is a vast chasm between the top six teams and the remaining also-rans who are pretty much of a muchness in terms of the overall depth and quality of their squad. Brentford had already learned to their cost about the strength and depth of the Hull squad in the previous meeting between the two clubs last year at Griffin Park when after the Bees had totally dominated the first half without reward and were still well in the game after the break, the visitors simply went to their bench and brought on two massively talented replacement players in Huddlestone and Diamé. They turned the game on its head and a brave and commited Brentford team which had finally run out of steam and imagination was unable to cope with their fresh legs and minds as Hull effortlessly went up a gear, and we were left trailing in their wake and subsided to an unfortunate defeat. David versus Goliath with us facing their atomic weapons with peashooters. Last night the Bees were again short of options and named in their squad pretty much every player who was anywhere near match fitness although given that this was their seventh game in less than four weeks they were running on empty with many of the players patched up, half fit and in desperate need of respite. Colin, Kerschbaumer and Vibe were rested from Saturday’s team with Clarke, Swift, recovered from injury, and Djuricin starting in their place. That is quite simply the way of the world when a small and overworked squad has been ravaged by a nonstop series of injuries throughout the entire season. Fixtures have to be fulfilled even though we are nowhere near being on an even playing field. Despite these drawbacks Brentford had put together an amazing run of five wins in their last six games and had risen from the depths of the league to a highly commendable tenth place and shown grit, skill, organisation and determination in abundance but last night was simply a match too far and the Bees had nothing left in the tank and gently subsided to a two goal defeat. Brentford played their normal neat brand of short passing football but shorn of Vibe’s pace and hard running and with Djuricin easily snuffed out by Maguire there was very little goal threat and Hull eventually seized control and were rewarded with two close-range goals after the Bees failed to prevent crosses coming in from either flank. Harlee Dean, otherwise so impressive on the night, was aware of the threat behind him and stretched in vain to clear, but could only find the roof of his own net and Diamé bundled in the second right on halftime which totally ended the game as a contest. In between Diomande missed a penalty which was most generously awarded by a referee in Darren Bond who barely gave the visitors a decision all night, not that Hull really needed his assistance. The excellent David Button got down quickly and well to make the save but that was a rare high point for an outmatched and exhausted Brentford team who struggled to cope with Hull’s pace and power on the break. The second half was played at exhibition pace and we were saved any more embarrassment and could even have scored when the impressive Josh Clarke was brought down a fraction outside the box according the referee – I wonder if he would have been as hawk-eyed if the incident had occurred down the other end, and Sam Saunders also curled a late free kick inches past the post. Otherwise the sole entertainment was in watching home substitute Chuba Akpom doing his best to keep a wide berth and stay as far away as possible from the belligerent Alan McCormack who would have just loved to have been given the opportunity to teach the young upstart a much-needed lesson in manners after his behaviour during his unimpressive loan spell at Griffin Park back in 2014. Worryingly, indestructible skipper Jake Bidwell limped off with a hamstring strain late on, thus ending his bid to play every minute of the season and hopefully both he and Vibe will be passed fit to face the challenge of local rivals Fulham on Saturday. I am sure that given the magnitude of the occasion, tired bodies and minds will have recovered in time for the weekend and Scott Hogan will also be ready to be unleashed upon our unsuspecting neighbours. Last night was an irrelevance and we move on.